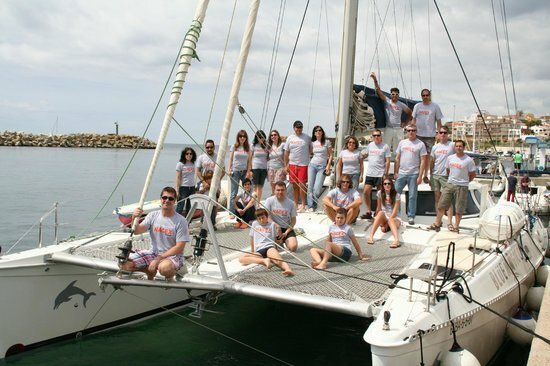 You are a group bigger than 12 persons ?Book your boat with us ! Our excursions are your best chance to spend time in a luxurious and unconventional way, far from mass tourism. We offer comfort and fun, ideal for birthday, bachelor party, working group, and weekend in family. 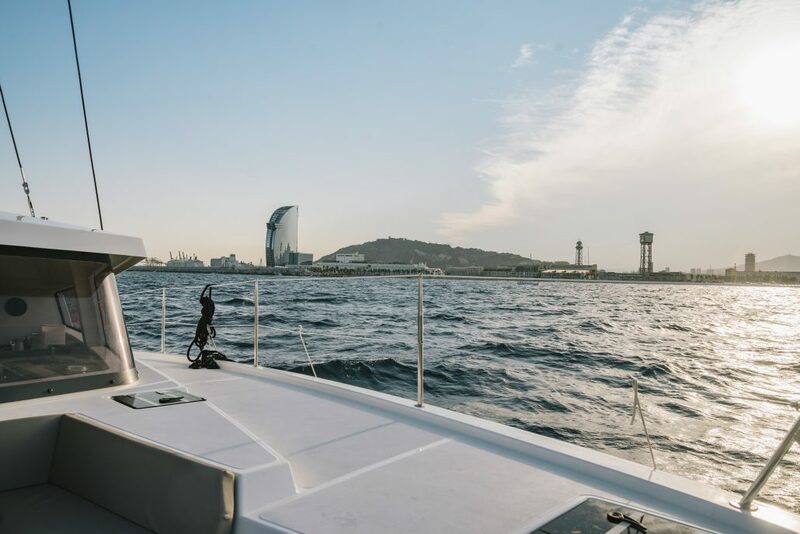 Our Catamaran includes : paddle surf and snorker, music (with MP3 connection), TV, WIFI, free for clientes. 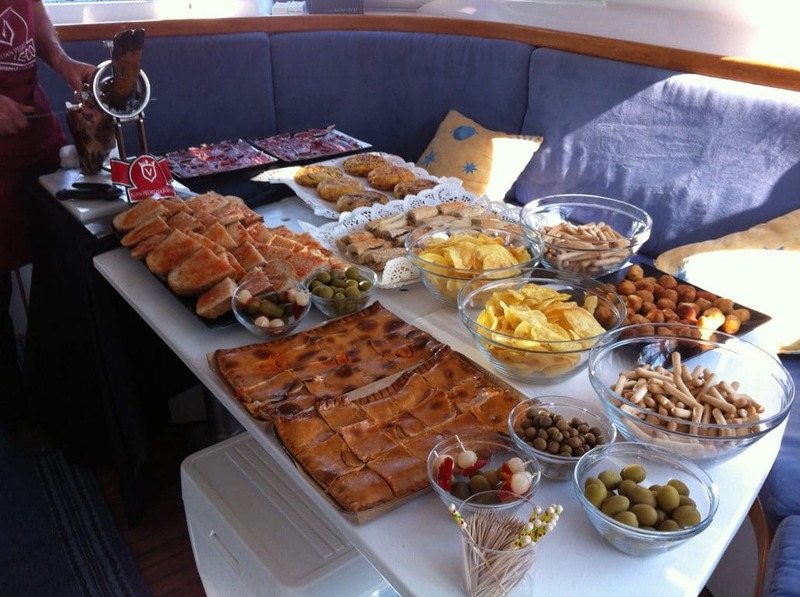 On board a professional skipper will guide you and waiters will serve you : fruits, snacks, water, coffee, soft drinks, beer (2/3 pax), cava or white wine. 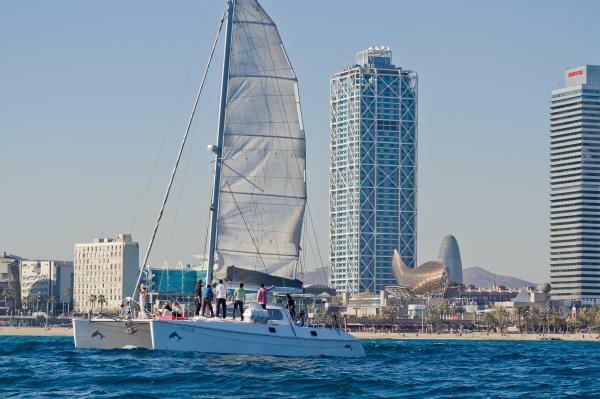 For 12 persons on board €1,020.00 per boat. From 13 to 16 persons on board €1,200.00 per boat. From 17 to 20 persons on board €1,500.00 per boat. From 21 to 23 persons on board €1,725.00 per boat. 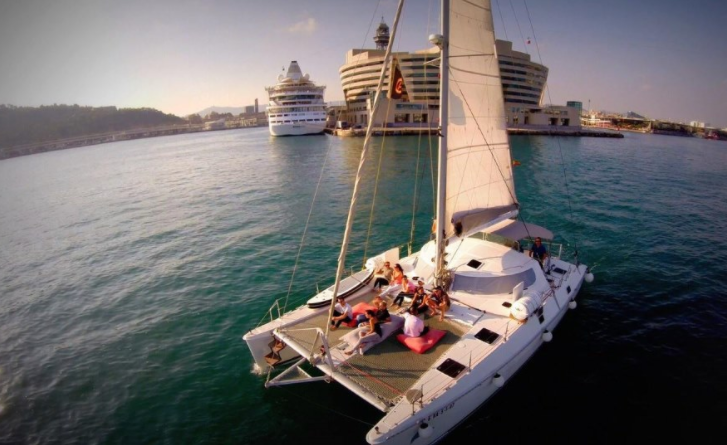 For 12 persons on board, €1,330.00 per boat. From 13 to 16 persons on board, €1,520.00 per boat. From 17 to 20 persons on board, €1,900.00 per boat. From 21 to 23 persons on board, €2,185.00 per boat.